Enbridge’s Steven Greenaway states that, “Enbridge’s marine plan intends that all vessels be tethered to powerful state-of-the-art super-tugs (“tractor tugs”) that would, in the event of a malfunction or emergency, be able to maintain control and safety of the tanker. The VLCCs (Very Large Cargo Carriers -Super Tankers) would be tethered all the way to open water at the end of Douglas Channel. In addition, all crude carriers docking and departing would be helped by harbour tugs”. It is obvious to any mariner that the intention to use tractor tugs tethered fore and aft is a statement meant to placate the public and has very little to do with added safe navigation of the super tankers. These super tankers, at 3 1/2 football fields long, need a tug to help steer the ship. They are unable to turn short enough to navigate much of the route themselves especially at slow speeds. If the super tanker were to lose power or steerage or get into difficulty of any sort, anywhere along the route through Canadian waters, from Cape St. James through Hecate Strait and inward to Douglas Channel, there is very little the tethered tugs could do to keep the tanker off the rocks. Any ship, any vessel in these waters is totally at the mercy of the tides and winds. The cruise ship Carnival Triumph lost power off the coast of Mexico Feb 10, 2013, due to a fire in the engine room. After two days, the largest, most powerful tug in the Gulf of mexico along with 3 other tugs began the tow of the stricken vessel to Mobile Alabama. The tow took 3 full days. At one point off the tip of Louisiana, they were actually going backwards due to a 2 hour spell of 25-knot winds buffeting the ship. At the entrance to the Port of Mobile, it took approximately 6 hours, in calm seas, to aline the ship correctly with the channel to enter port. That was with four tugs. All the Carnival Triumph’s troubles and ordeal took place in calm waters. To tow a super tanker to safety in the seas off Northern BC, where 25 knot winds are commonplace with most daily afternoon channel winds are funnelled to much higher velocities. Where it is normal for 10 meter seas to crash onto the shores on the coast along with a perpetual 3 knot tidal current, in many places more, to hamper navigation further. Towing a super tanker to safety? Impossible!! The statement, “In addition, all crude carriers docking and departing would be helped by harbour tugs”, that is true with all ships. Not a safety factor Enbridge came up with. Every ship in every port requires harbour tugs for docking. 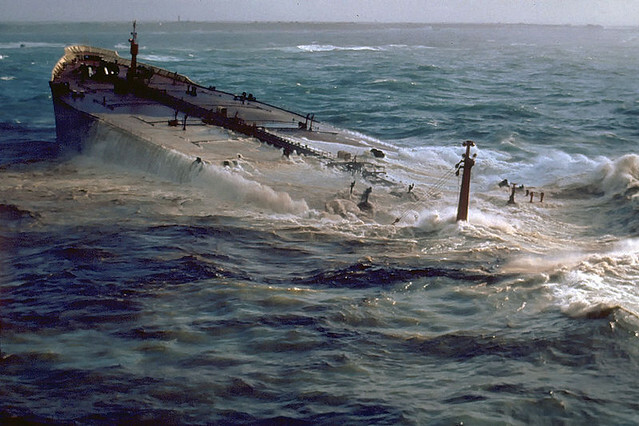 Double hull tankers sound like the answer to oil spills caused by grounding but, a double hull is only effective in low impact, slow groundings on sandy beaches or sand reefs. The immense size and moving weight of a loaded super tanker makes double hulling of no consequence on rocky shores or reefs which of such is the topography of the B.C. North Coast. Double hull tankers are also more susceptable to leakage because of the difficulty and costs to inspection of the inner hulls. 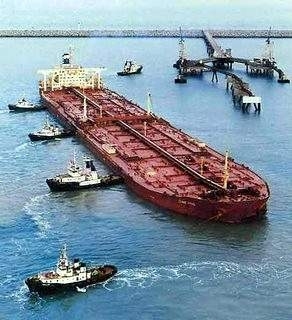 It has been predicted (Regulation 13G of Annex I to MARPOL 73/78 in April 2001) that in a few years time there will be massive oil leaks from double-hull tankers as the maintenance of a double-hull is more difficult than a single-hull, and there is also a problem with gas build up between the two hulls making regular inspections of the vessels even more important. Enbridge states that 3rd party tanker inspections will be mandatory. Who will be paying for these month long, yearly inspections? Where will they take place and by whom? Will there be an independent Canadian overseer to these inspections? If not, can they be trusted? We all remember the Costa Concordia which hit a rock and sank off the coast of Italy. The Costa Concordia had a double bottom, both skins were breached and the ship flooded and sank. The main purpose for double hull construction is that the tanker can be made to carry more crude, they have more ballast to keep the ship afloat. It takes only ONE mistake! It is not the matter of ‘IF’ a super tanker, a behemoth of the seas 350 metres long and 60 metres wide, will accidently discharge bitumen in Northern B.C. waters, it is the perverbial WHEN. Regardless of how well both Enbridge and the Canadian Government prepare for the inevitable, vast coastline areas will be effected – for decades to come as witnessed at Valdez on Prince William Sound. Many species of wildlife and marine life will be lost, many of them forever. Enbridge proposed oil tanker route through Douglas Channel, in the very heart of the Great Bear Sea, is total insanity. A proposal by a corporation without any conscience what-so-ever toward the environment or ecology or the peoples who inhabit the area. Douglas Channel: It’s more than just a map. Mitigated – made less severe or painful, lessened in force or intensity. “Risks will be mitigated.” Sorry, that is not good enough. 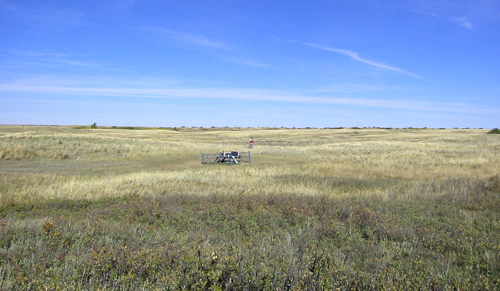 There is no mitigation in the event of a dilbit bitumen spill on the B.C. North Coast. None of the “mitigations” Enbridge has outlined will be of any consequense or aid in any way to lessen the chances of an oil spill from a super tanker in the Douglas Channel route Enbridge has proposed. One Mistake! -One Miscalculation! -One Error in Judgement! – and it is near total annihilation for the ecology and natural economy of the entire North Coast. Both Enbridge and the Canadian Conservative Government under Stephen Harper are willing to sacrifice the British Columbia North Coast for the sake of exporting Tar Sands Bitumen to China and other parts of Asia.